Darcy Neal – Page 2 – art. tech. workshops. Artist, Darcy Neal has created unique electronic instruments since 2007. Neal was originally inspired by the art of circuitbending and began to create customized objects with a focus on interactive experiences. They perform live with their devices and co-founded LadyBrain Studios, where they develop commissioned interactive creations and teaches electronic workshops at hackerspaces, galleries, venues, and universities. 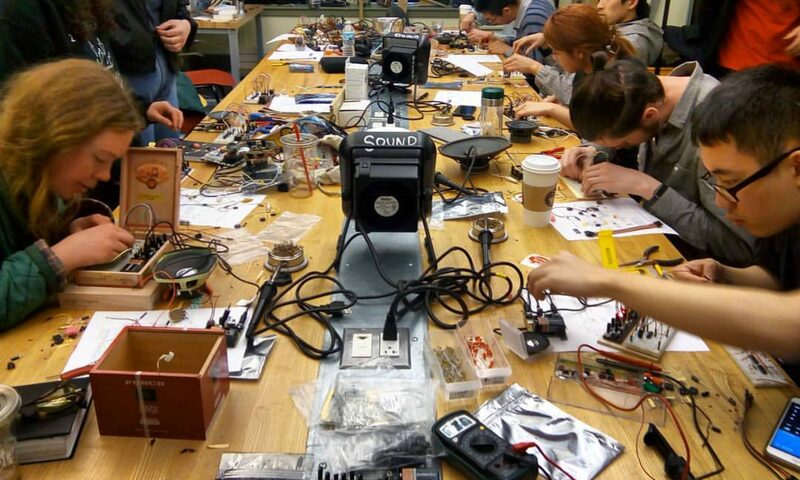 Their focus is directed towards physical computing and having tangible sensory exchanges with interactive instruments.